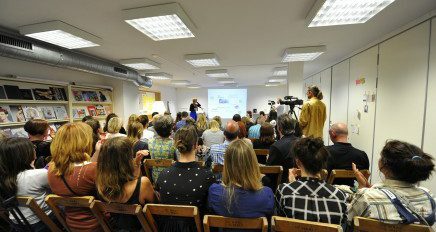 In cooperation with Crafts Council Nederland, ArtEZ Fashion masters organized a number of masterclasses by the name of HEMP, YEAH! at the Nederlands Openluchtmuseum. 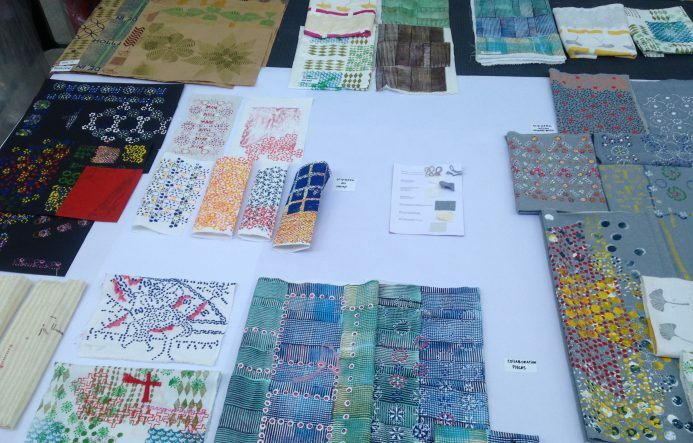 These workshops are part of the researchproject Going Eco Going Dutch, more specifically of WP 3.3 on the colouring and printing of the fabrics. Hemp is one of the oldest fibres used for among others textile, sailcloth, canvas but also for tea, oil etc. In Europe hemp was a traditional grown crop like flax. In HEMP YEAH! the students of the ArtEZ Fashion Masters investigated the use of hemp in textiles and how to ennoble the material. The three workshops focussed on three different techniques of ennobling textiles, using block printing, Staphorster Stipwerk (dotting) and embroidery. The students researched in what way these traditional techniques (translated to a more modern design) can play a role in creating and visualizing the added value of local materials. The project Going Eco Going Dutch focusses on the locality of materials for a narrative on local and closed chains. The video below gives a short impression of the different workshops at the Openluchtmuseum. Masterclass “Hemp, Yeah!” from Future Makers on Vimeo.